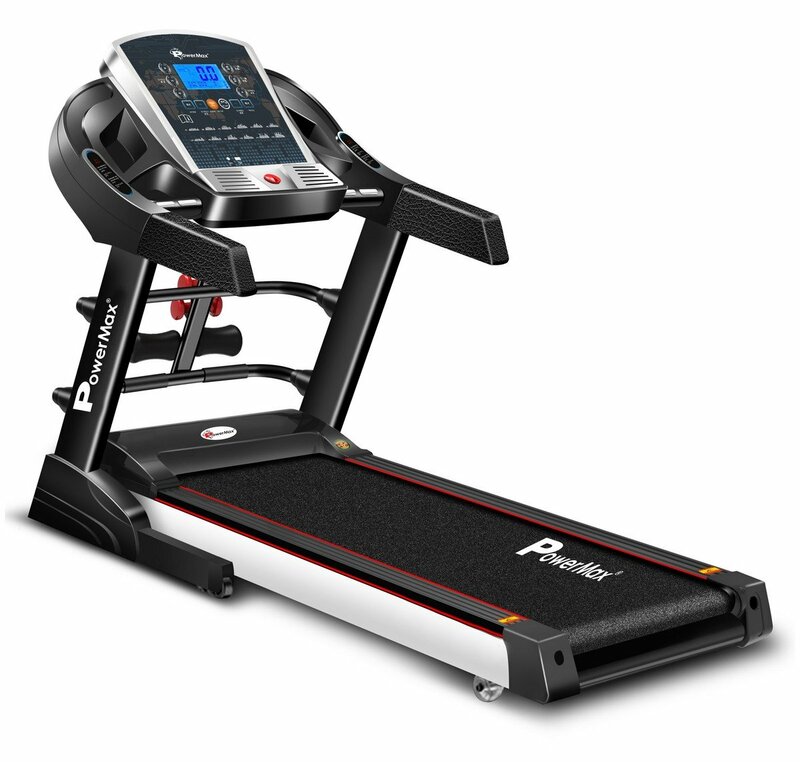 Buy Powermax fitness TDM-125S motorized multifunction treadmill with auto lubrication for Rs 36,990 only. Few hours left. LCD screen display - Speed, Time, Distance, Calories burned and Heart rate.